A true strength of ETA is the ability of its seasoned professionals to design, plan, and manage the transportation of any size event. We are known, however, for our specialty in being a full service transportation provider for national and international special events. We have successfully managed handled hundreds of large attendance events worldwide, including events like the National Hockey League’s Stanley Cup playoffs, Major League World Series games, Presidential Inaugurations and the Lions Club International annual meeting. ETA exists to provide the highest quality of professional transportation services worldwide, capturing efficiencies and incorporating innovation. Service. Nurture client relationships, and always offer clients our highest level of service. Gratitude. Remember to be grateful at all times. Excellence. Hire experts to handle challenges and unplanned events effortlessly. Safety. This is paramount to transportation services. Innovation. Harness technology to provide efficiencies to our clients. Janie Hollingsworth, P.E., is ETA’s Chief Executive Officer and majority owner. With more than 17 years’ experience in traffic engineering and transportation planning, Janie holds professional engineer licenses in 19 states. Her career has been punctuated by prominent assignments for traffic planning and administration that have influenced the outcome of high profile sporting events and renowned National Special Security Events (NSSE), including the MLB World Series, NHL All-Star Games, Grand Prix, World Meeting of Families and Papal visit, Democratic National Conventions, and Presidential Inaugurations. Janie’s work has received national and statewide acclaim for her ability to coordinate transportation operations for events that draw visitors in the millions. Janie holds a B.S. in Civil Engineering from the University of Colorado at Denver, with Professional Engineer, FEMA National Incident Management System and Incident Command System certifications, along with courses in FEMA Integrated Emergency Management. She is an active member of the National Committee on Uniformed Traffic Control Devices. Brian Clark is Chief Operations Officer and minority owner of ETA. With more than 20 years’ experience of managing transportation services for high profile events, Brian’s event resume includes 46 major sporting and political events. He has managed transportation plans for four Olympics, handling responsibilities that included hiring, training, and managing thousands of ground staff at multiple Olympic venues. 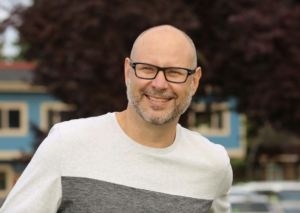 Brian is known as an extremely reliable, diligent “hands on” manager, and his work has ensured the safe transportation of high profile guests such as Desmond Tutu and the Dalai Lama. For ETA, Brian manages the strategic direction for operational plans and staff, oversees transportation plans for large-venue transportation clients, and ensures quality control to meet client goals and objectives. Brian holds Master degrees in Sports and Sports Administration and Facility Management from Ohio University. 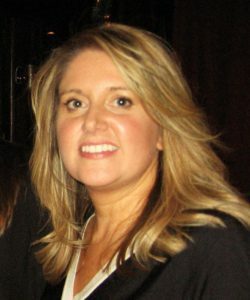 Jamie Bohner-Shelley is VP of Business Development & Partnerships and has been with the company for 7 years. Prior to joining the ETA team, Jamie worked for the Denver Broncos then made the transition to Corporate Meeting Planner for RE/MAX International. 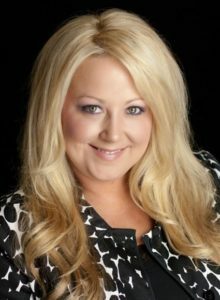 At RE/MAX she planned and managed over 100 events a year ranging from high end incentive programs to a large city-wide convention for over 10,000 people. During her time at RE/MAX Jamie partnered with ETA to execute their transportation needs across the country. Jamie has been involved with transportation management for programs such as the Democratic National Convention, Super Bowl, Solheim Cup and NBA All Star Game as well as multiple large scale conventions. Jamie brings not only her experience with complex transportation programs but a knowledge of all sides of large conventions which leads to a true understanding of how to integrate a transportation system into a full event program. Jamie has a double major in Political Science and Communication and lives in Denver with her husband. Anthony Hiltz is ETA’s Operations & Training Manager. Prior to joining the ETA team full time, Anthony traveled with the company working on many large scale programs across the country. Anthony has transportation in his blood as his family owns a VIP transportation company. Fueled by passion for transportation he is involved in both operations and staff training with ETA. Anthony has worked on multiple events across the country including high end programs such as the US Presidential Inauguration, Super Bowl, Lions Clubs International, McDonalds Corporate Programs, CEDIA, Janus and the Solheim Cup. Anthony has worked on multiple events both domestically and internationally, including the 2016 Democratic National Convention and the International Society for Technology in Education. Anthony currently works out of ETA’s Orlando offices.